"He’d filled the same spot in last year’s renewal of the ‘consolation Lincoln’ before going on to win a big-field handicap at Haydock next time out, and I fancy history may repeat itself today." 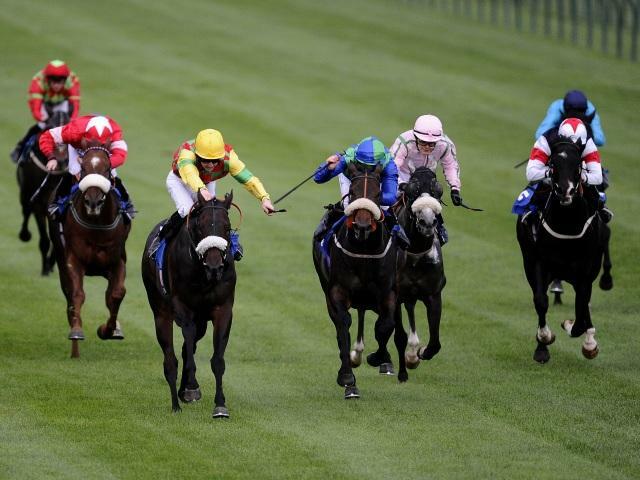 Nottingham's first flat meeting of the year is often an informative one, Opinion Poll and Pearl Secret winners on this day in the recent past, and today's card promises more of the same, the Leger sixth Forever Now the headline act starting his 2015 campaign in the race due off at 15:40. He's the likeliest winner of that listed prize, but there are potentially a couple of better bets elsewhere. The preceding conditions event over five furlongs sees a somewhat mixed bag of performers on show. A quick glance at official ratings would suggest that Dutch Masterpiece, a Group 3 winner at his peak, and Spinatrix are the pair to concentrate on, but both have questions to answer, the former returning from a year off having flopped in a Newbury handicap on his only start of 2014, while Michael Dods' game mare is having a very rare try at the minimum trip. She has gone well fresh in the past, finishing second on her previous four seasonal reappearances, but may have to make do with minor honours again if Justineo, a real speedster who has a fine record in events such as this, is ready to roll having been last seen in the Abbaye in October. He'd previously scored at Doncaster in August, and while he has to give upwards of 9 lb to all, that has been factored into his price. An hour later at 16:10 we see the return of Sacred Path, who was sent off at 6/4 for last season's Esher Cup having made a winning debut in a maiden on this card a couple of weeks earlier. He's presumably had his problems since, not seen since finishing fifth at Sandown, but while he's clearly well thought of, he looks a skinny price in a handicap where several hold legitimate claims. Right at the top of that list is Yourartisonfire, who started this campaign with a cracking third-placed finish in the Spring Mile. He'd filled the same spot in last year's renewal of the 'consolation Lincoln' before going on to win a big-field handicap at Haydock next time out, and I fancy history may repeat itself today.